Abstract: The MSI GNB MAX-FISR is a workstation class motherboard, and one which is packed with its fair share of features & goodies. Unlike most of MSI motherboards which feature an AMI BIOS, the GNB MAX-FISR comes equipped with an Award version. Not that it makes a big deal, the motherboard has most of the tweaks that we would expect. Since the GNB MAX is a workstation motherboard rather then a desktop board, there are zero overclocking options. 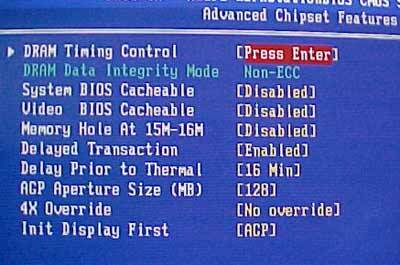 The only settings we may change here are the AGP settings. We can change the AGP Aperture Size from 4MB to 256MB and if the a 8x AGP videocard is giving us stability problems, we can force 4x AGP. 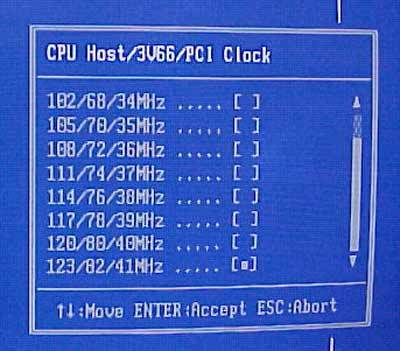 IN the DRAM Timing Controls, we have the DRAM adjustments we're use to. CAS Latency, RAS to CAS and even some DRAM Thermal Management! I'm not sure how that works to be honest. In the Frequency/Voltage control there are no voltage controls and the FSB options that we have are quite slim as you can see. Still, I understand MSI's mentality - the GNB MAX is a workstation motherboard and stability is the key factor not pointless overclocking to 4GHz and beyond. Performance is important also but you can't sacrifice stability for it.